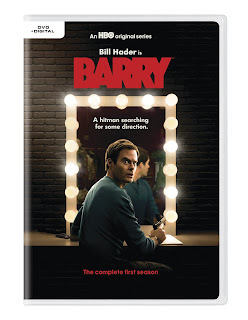 Home » Expired Contests » Enter to Win Barry: The Complete First Season on DVD! Enter to Win Barry: The Complete First Season on DVD! 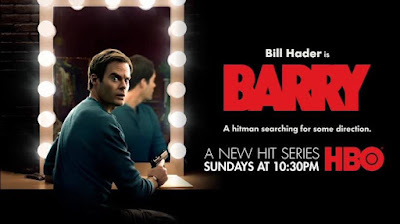 Barry (Hader) is a depressed, low-rent hitman from the Midwest who falls in love with acting while on a job in Los Angeles. Barry’s handler, Fuches (Stephen Root), hires Barry out to the deeply violent Chechen mob, led by Goran Pazar (Glenn Fleshler), and his right-hand man, NoHo Hank (Anthony Carrigan). Barry’s target is an aspiring actor who is having an affair with Pazar’s wife. When Barry follows his “mark” into an acting class taught by beloved teacher/guru Gene Cousineau (Henry Winkler), he is instantly drawn to the group of acting students, particularly Sally (Sarah Goldber). Barry wants to start a new life in this community of eager hopefuls, but his criminal past won’t let him walk away. Can he find a way to balance the two worlds? Barry℠: The Complete First Season, arrives on DVD October 2nd, 2018!